I had a great time on The Real Female Entrepreneur, connecting about self-care, healthy boundaries and successfully handling toxic people. Are your stand-by coping mechanisms still serving you? If you’re feeling stuck in a place you don’t want to be, it’s time to start practicing new patterns that work for [the real] you. Every moment, you’re teaching people how to treat you, even if you aren’t consciously trying to. As you become more successful, hours in the day seem fewer, while responsibilities and commitments grow. You can’t keep shining your beautiful light if you never replenish your ember. It’s okay to say no. It’s okay to practice radical self-care. 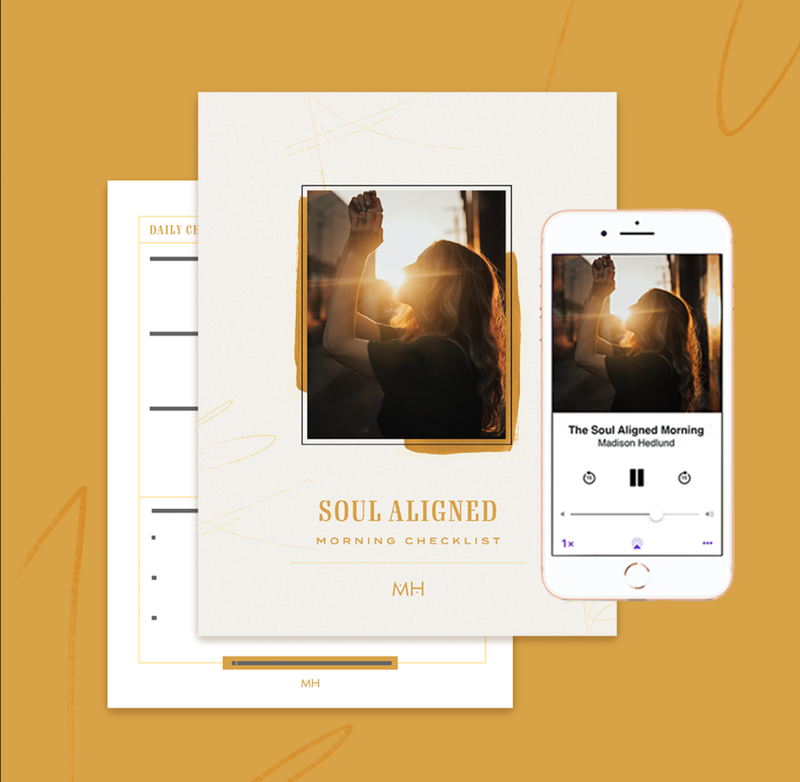 Click in and level up your self care game with The Soul Aligned Morning. If you’re feeling drained, burnt out, or frustrated, it may be time to take a deeper look at your boundaries. Boundaries are a crucial component in your mental, emotional, and physical well being. I was featured on this episode of Zura Health’s podcast, where I discussed the importance of having healthy boundaries and HOW to actually put them in place with actionable tools and wisdom. This podcast episode was so much fun to do and holds a lot of meaning for me. Knowing what you want and creating healthy boundaries are the foundational blocks of living your best life. Boundaries can be scary because you may be afraid that when you stop saying yes to everything, people won’t like you. The inner critic loves to lie and tell us that to be loved, we have to be everything to everyone. The key here is coming to a place where you are unattached to what others think of you. In doing that, the people most suited to you, gravitate toward you. Trust me, you will still be loved. If you’re feeling a lot of resentment toward people in your life, or if you feel burned out, those are also indicators that you may need to work on your boundaries. In general, if you have a lot of discontent, it’s a good sign that your boundaries could be boosted. If you’re feeling that discontent and burn out, it’s probably a good time to look at where you’re spending your energy and decide if that’s in alignment with what you really want. If you’re ready to take ownership of your boundaries and could use a little support with that, grab my FREE Boundaries Training. Ever felt like a fraud? Like you didn't belong? Maybe that voice was right; or maybe it was your inner impostor. 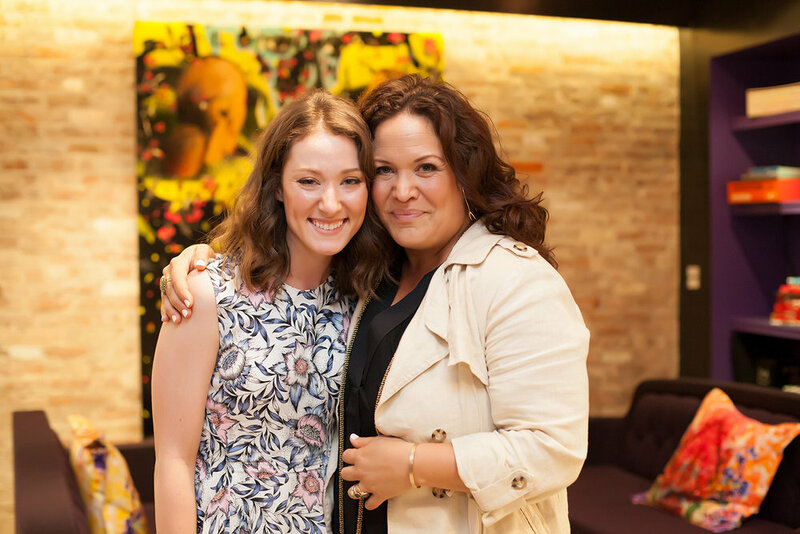 Today I'm sharing a heart warming interview with Tanya Geisler, one of my favorite humans on the planet. She helped me overcome my inner impostor the day I met her and she continues to make waves in the world of coaching. One year ago this week I launched this blog with a lot of fear, some high hopes, and words of a mamma bear woman embedded in my soul. Tanya Geisler was an unexpected mentor, coach mom, and friend I gained summer 2015 at the Beautiful You Training Inspiration Day. She was my push to get this baby out into the world, and one year later, I get to share her heart with you in my first Trailblazers Episode. In thisepisode Tanya delves into her work with the impostor including what exactly it is, 4 attributes the impostor complex brings, why feeling like a fraud is totally normal, and ways to combat your own inner impostor. I can't wait for you to hear her soulful laugh and divine insight. Get ready for some real-talk and welcome to The Trailblazers Series, Episode 1. Tanya's a leadership coach and helps high-performers combat their Impostor Complex so they can achieve their ultimate goals. Her clients include best-selling authors, public speakers, and rockstar motivators. She has written The 12 Lies of the Impostor Complex (and One Truth), The Joy Pages, created Board of Your Life and the transformational Step into Your Starring Role coaching program, has blogged for the wildly popular The Daily Love, has served as contributor and was featured in Canadian Living, and is an in-demand TEDx speaker who talks with great passion about the Impostor Complex, personal leadership, on all things joy, meaning and purpose (just try to stop her). Like this post? Want more goodness?